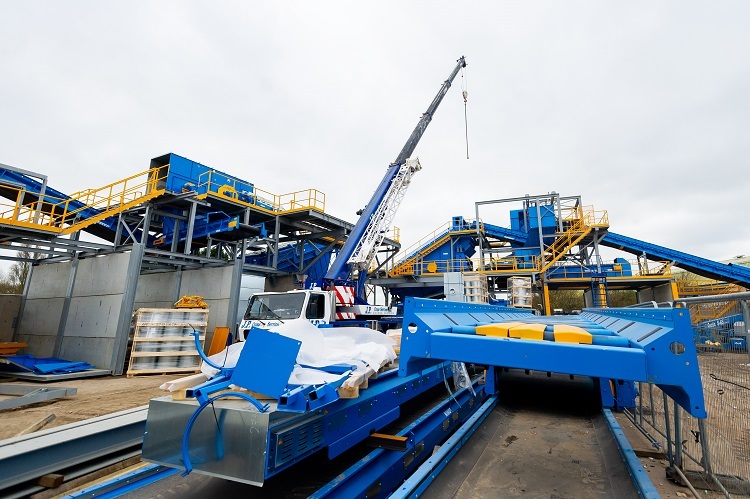 A NEW £4m state-of-the-art Materials Recovering Facility (MRF) that will put the city of Bristol at the forefront of the recycling industry is set to open on Monday, 8 April. Bristol firm ETM Recycling is set to open the new MRF on its existing South Bristol site at Ashton Vale. It will be the most efficient and effective plant in the South West processing construction and commercial waste and will be a zero waste to landfill plant. The build has taken just under three months, and Amy McCormack, Director of ETM Recycling, is excited that an opening date has now been set. “Everyone has been constantly asking us when it’s going to open, so we are really excited that we’re almost there and the plant will soon be running waste through it,” said Amy. Having spotted a gap in the market for such a facility, the plant has been two-years in the planning and ETM has worked closely with engineering firm Turmec to ensure the plant was designed and built to meet its exact waste inputs to make the it completely bespoke to ETM’s needs. The firm had to completely redevelop their existing site, which meant demolishing offices and building new surrounding walls and concrete floors and have continued to operate and process waste whilst the build was taking place. But it has all been worth it. “The new plant will double the amount of waste we have previously been able to handle and process and thanks to the facility’s technology we will be able to vastly improve waste segregation,” added Amy.